Combine all dry ingredients and mix well, set aside. Beat oil, egg, sugar and vanilla together till fully with an electric hand mixer. Add blueberries to flour mixture and toss to coat well. Add dry mix all at once to the rest and stir until just combined. 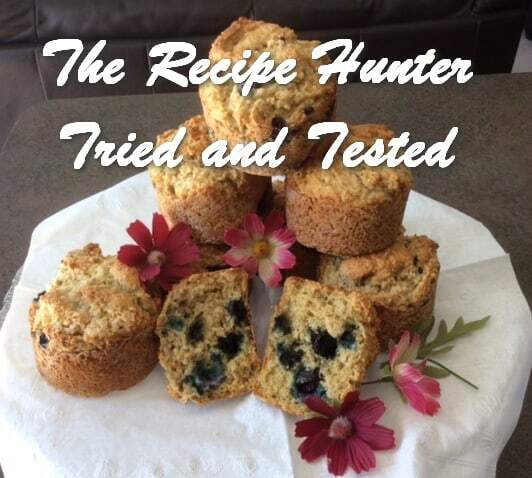 I always use the large muffin tins, and make 8 muffins.